Holiday time can mean a lot of things. Sure, it is all about spending quality time together or perhaps taking a well-deserved family vacation. But when the kids are home all day instead of being engaged with their peers and learning new things, it can get challenging too. This is where school holiday activities come to the rescue! But with plethora of school holiday activities offered in Singapore, how does one pick what’s best? A holiday program needs to be many things; interesting, exciting, fun and above all useful. Holiday programs need to be designed to shape young minds the right way and give them what they need to prepare for a brighter future. 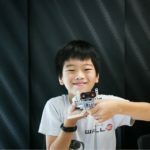 By the end of this article, you will know characteristics you should look for while scouting for kid’s school holiday activities in Singapore. We’ve put together a quick but indispensable list to keep in mind when you are hunting for the best holiday program for your kid. We have kept it short but have made sure to pack in the maximum wisdom to help you plan right. 1) Is the Holiday program curriculum complementing the school’s curriculum or in other words is it contributing extra features? Schools today are still going by age old curriculum that promises to teach your kids how to get a job in 2018. But the only problem is, by the time kids grow up, what they learned will no longer be applicable! When it comes to education and skills, old is certainly not gold. Here’s a quote that will get you thinking. “The new technology will destroy a lot of jobs. But it will also create a lot of jobs. The question is whether we are ready and whether we are qualified for these new jobs”, says Jack Ma. When one of the most successful people in the world talks about the future of jobs, it is always a good idea to take note and put your thinking caps on. Relying on schools to change up their syllabus isn’t the best move and as a parent planning for your kid’s future careers should be a job you need to take seriously. Read up on the future of work and find programs that can help you gauge where your kid’s interest lies. When love for a subject meets with future viability, magic can happen. So, start enrolling your kids in classes where they teach them skills that will be useful in the future and watch what sparks interest in them. This could be crucial for their long-term success. And of course, keep your eyes and ears open for information about how the future could end up looking and how best your child can fit into the workplace of tomorrow. Let’s pledge to make this generation a happy and fulfilled one! 2) Is it teaching your kids social, cultural and collaboration skills? With technology all set to take over the world, the only way for human beings to stay on top is to level up the part of them that cannot be easily replicated by machines. This means that skills like empathy, compassion, team work, creativity will climb to the top of the list of priorities. 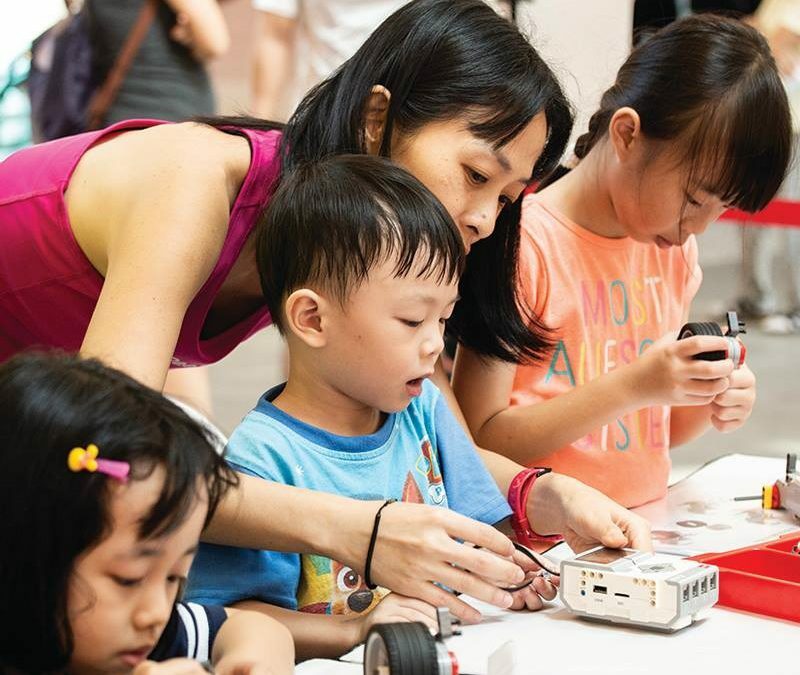 So before signing your kids up for a school holiday activity in Singapore, make sure that the institute or organizer has a teaching method that emphasizes on cultivating soft skills as well. Too often, kids are only taught to ace tests and learn by rote. If these methods do not see an upgrade soon, we risk an entire generation being led down a road of struggle in the future. It is never too early to start training your kids in a solid foundation of social skills. The demand for those who can lead and think outside the box will surge. Grades will no longer guarantee jobs or success in the future of your kids. 3) Is it going to challenge your kids? We understand that holidays are meant for leisure and fun. But challenges can be fun too! In fact, when your kids are in that age where they soak up things like a sponge, it is best to surround them with kid’s activities that will be beneficial in the long run. Think of it as a season of helping them get a head start in life. When children take up an activity that they see as a challenge and overcome their shortcomings in a supportive and positive environment, the kind of confidence that they gain can lead to a lifetime of great successes. But a word of caution here. 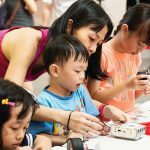 Make sure that you choose school holiday activities in Singapore that are designed by experts who are aware of the level of challenges suitable for your child. Anything too easy can be a waste of time and anything too difficult could damage self-confidence. The right balance is essential! Make sure that the time your kids invest yields good returns. So these were our top 3 list on how to choose the perfect holiday program? Remember parents, a well-designed, expertly chosen activity can truly make a difference and a little research on your part can go a long way to making the holiday season an absolute delight. With online resources at your disposal and holiday programs available for every age, budget and time limit, there is no excuse for you not to sign your kids up for a holiday season full of all things incredible. 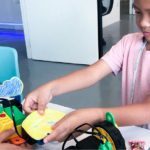 Apart from the regular kids activities in Singapore, we also have Holiday Programs at Future Ready Academy that are designed and delivered by experts. Write to us at enquiry@futurereadyacademy.com to know more or sign up for our upcoming Holiday Program by clicking here. Make it happen for the Future of Your Kids.